CORSAIR®, a world leader in PC gaming peripherals and enthusiast components, today announced a new addition to its bestselling Hydro Series liquid CPU coolers, the Hydro Series H60. Fully updated for 2018, the new H60’s 120mm radiator and multi-CPU socket mounting make it the ideal choice for those stepping up to liquid cooling for the first time, easily fitting into almost any enthusiast case to deliver performance CPU cooling. Finished with distinguished styling and ready to cool today’s demanding processors, the H60 offers all the Hydro Series essentials to keep your CPU running fast, cool and quiet. 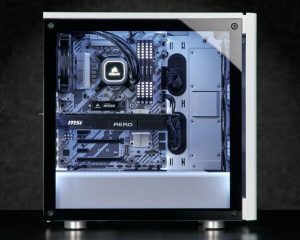 Sharing the same next-generation Hydro Series design as the award-winning Hydro Series H150i PRO and H115i PRO, the H60’s pump cap is LED backlit in white to add a touch of brilliance to your system. Inside, the H60’s thermally optimized cold plate and low-noise pump efficiently transfer heat away from the CPU to be exhausted by the radiator and quickly expelled from the case. 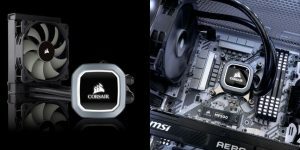 The H60’s compact 120mm high-density slim-radiator combines maximum cooling surface area with the ability to be mounted into almost any 120mm fan mount, making it compatible with any CORSAIR case, while rotating fittings and rubber hoses ensure easy installation. 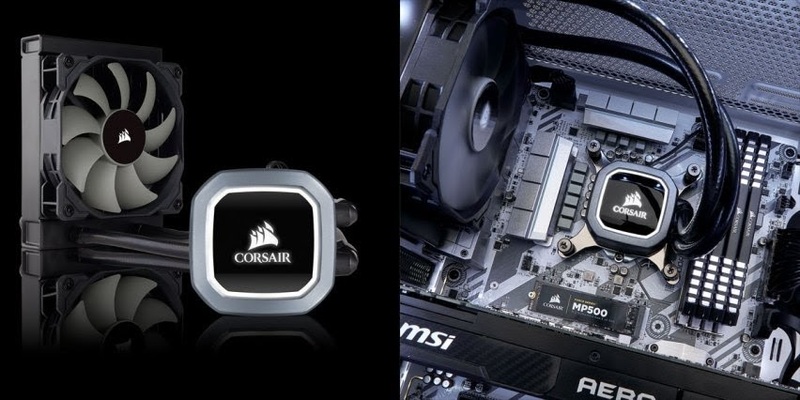 A CORSAIR SP Series 120mm PWM fan is tuned to deliver low-noise cooling and plentiful airflow when it’s needed, connecting to your choice of fan control for precise speed adjustments between 600-1,700RPM. With included brackets for all current AM4, LGA 1151 and LGA 2066 socket CPUs, H60 is compatible with a huge array of AMD and Intel CPUs and is installed tool-free in minutes to deliver years of maintenance-free high-performance CPU cooling. 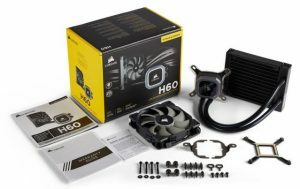 The CORSAIR Hydro Series H60 is backed by a comprehensive five-year warranty and the CORSAIR worldwide customer support network.